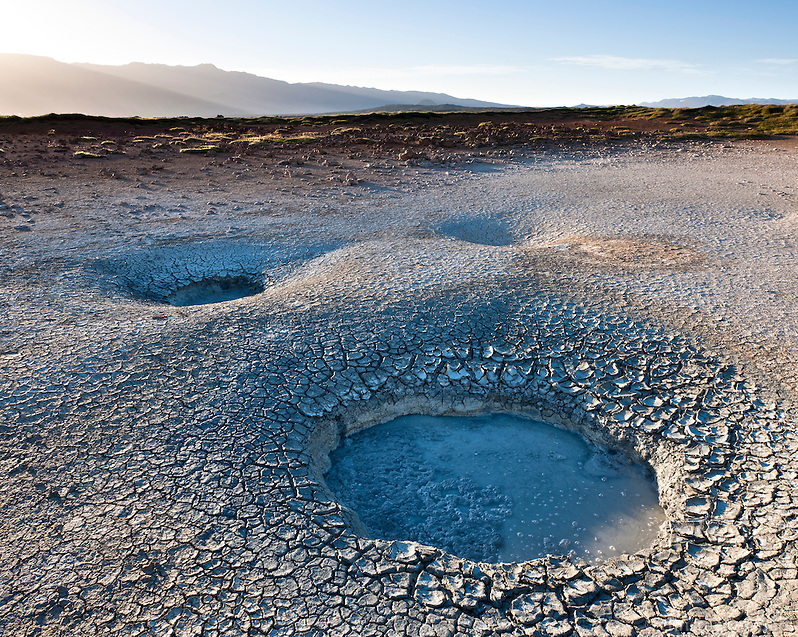 Mudpools at Þeistareykir, North Iceland. Sadly this area is being developed for harnessing energy for a geothermal power station. The first phase of the development involves the construction of a 45 MW station. The further expansion of the station is under consideration as the National Energy Authority has issued a power production licence for a 100 MW geothermal station in Þeistareykir. The facility is scheduled to commence power production in the autumn of 2017. Posted on Thursday, May 26th, 2011 at 22:12. Filed under: Interior of Iceland, Locations, North Iceland Tags: adventure, geothermal, iceland, iceland photo tour, landscape photo workshop, mud pools, photoguide, phototours	RSS 2.0 feed.